The Cook Law firm has proudly served Cherokee, Iowa and our surrounding communities for nearly 150 years. Our firm was established in 1869 by attorneys Kellog & Lewis, back when Iowa just a new state. 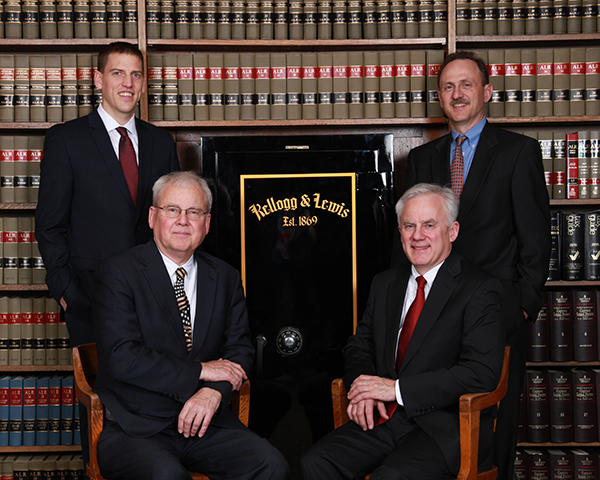 Today we have four practicing attorneys and offices located in Cherokee and Holstein, Iowa. We are a general practice law firm and provide legal services on a wide array of matters for individuals, corporations, government entities, insurance companies and banking institutions. In litigated cases we represent plaintiffs and defendants. Our attorneys are experienced and licensed to practice in all counties throughout Iowa, as well as Minnesota and Colorado. Our firm values your privacy and will keep your information confidential. We offer a free consultation to our new clients. Please review our practice areas or give us a call to determine if we can assist you. Planning for the care of your family and your assets in the event of your death or disability is extremely important and may involve planning for complex property or taxation issues. Proper planning is critical to avoid or minimize taxes which may be owed following your death. Our attorneys are experienced in preparing the will or trust that is best suited to your needs. We have extensive experience handling all phases of probate– the process by which an estate is administered after death, as well as trust proceedings, guardianships, conservatorships, and related matters. Our firm represents individuals and businesses in civil litigation. We represent both plaintiffs and defendants in personal injury or tort actions, contract disputes, real estate disputes, landlord/tenant and commercial disputes, among others. We will help you navigate your case through resolution, whether that comes through a settlement negotiation, mediation, arbitration or a trial. Our firm provides full income tax preparation services for individuals, including federal and all states' returns. Electronic filing is offered. We also provide tax preparation services for corporations, partnerships, trusts, foundations, non-profit organizations, as well as inheritance tax and federal estate and gift tax returns. Our attorneys handle many general practice matters, such as drafting of contracts, farm and dwelling leases, title opinions, sale of business assets, real estate closings, and the like. Our firm represents several banks and financial institutions in our area, and provides services relating to lending and collection matters. We assist with the formation of business entities and will help you decide whether you should start a partnership, corporation, limited liability company, or other entity. We provide representation in family law matters, including dissolution of marriage actions, child custody matters, adoptions and elder law.